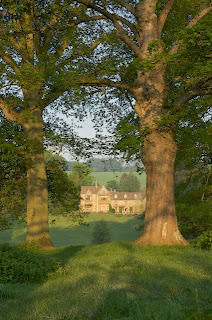 The Lords of the Manor, a stunning luxury hotel in the Cotswolds, is the perfect spot for a relaxing break. Surrounded by 8 acres of parkland and landscaped gardens and hosting 26 beautifully decorated bedrooms, guests can experience a true sense of peace and tranquillity. The bedrooms each hold their own individual charm. From the spacious and elegant Tracy Room, originally the master bedroom, to the cosy and warm Country Bedrooms, every occupant will experience a great night’s sleep. For an even more calming stay, the Phoenix Rose Beauty Team is available with a number of spa treatments, which can be enjoyed alone or with a group of friends. With massages, reflexology and manicures on offer throughout your stay, stress will be a thing of the past. When it comes to business meetings, this luxury hotel in the Cotswolds is more than happy to meet and exceed your expectations. Able to cater to up to 30 delegates, the number of meeting rooms is substantial and designed with all the necessities at hand. The Garden Room, the main setting for meetings, comes complete with internet access, a flipchart and screen and natural daylight, which brings a pleasant atmosphere to the room. If your needs are smaller, or if you require extra space, a large number of syndicate rooms are available. The Drawing Room, the Pantry, the Library and the Conservatory, all named for their respective locations in the hotel, come with all the amenities of the Garden Room and are perfect for any meeting. A large part of business is learning to get along with your co-workers. While team-building exercises are often considered tedious, this luxury hotel in the Cotswolds will have you clamouring to get outside and start working together. With the expansive gardens providing plenty of space, the Lords of the Manor’s coordinator will happily provide support and refer you to suppliers. Beyond the luxury hotel, the Cotswolds holds a number of activities such as archery and paintballing, which the coordinator will put you in contact with. There are two separate packages available for business guests. The 24 hour deal begins from 9am until 9am the following day, and includes the hire of the meeting room with the aforementioned amenities and catering for guests at lunchtime and dinnertime, with tea and coffee served throughout the day. At the end of the day, visitors can relax in the bedrooms until the next morning, where a full English breakfast will be provided in a private dining room. For a shorter day, the Day Delegate Rate is available, offering the same options without the dinner or overnight stay, and lasting from 9am until 5:30pm. For any business excursion, this luxury hotel in the Cotswolds is the perfect location. Visit the website to book your stay.